Where has all the NBA trash talking gone? Three of the best NBA trash talkers-MJ-Larry Bird and Kevin McHale. Three of the best NBA talkers: MJ, Larry Bird and Kevin McHale. A few weeks ago a fan in Cleveland did a little trash-talking to Bulls guard Richard Hamilton, a rather weak "you’re an old man” taunt. It made me realize that the art of trash talking is just not what it used to be, especially among the players. Hamilton said it was much better six or seven years ago. He thinks players have become too friendly with each other and the evolution of the rules with the referees calling fouls on any words or actions has quieted the "talking." In the good &apos;ole days of Michael Jordan and Larry Bird that was when it was done best — on the court by the players. That is where it became an art form — and one of the most lethal tactical move by those elite players. Former players described who they considered the kings on the court, known for their ability to use words as well as a basketball. Boston Celtic great Larry Bird was mentioned on the top of most people’s list. Former Bull top draft pick and now TV analyst Stacey King was christened by Bird’s words his rookie season. “I remember being in Boston Garden during a shoot around," King recalled. "Phil Jackson told me not to give Larry Bird any air space. During the game Larry Bird was five feet behind the NBA three-point line. He looks at me and says, ‘Are you going to give me this shot?’ I say, ‘I dare you to shoot.’ Bird says, ‘You know, if I make this, you are coming out of the game.’ Phil is yelling at me to get up on him; Bird shot the ball at least eight feet behind the line.” After he made the basket, Bird went down the court and told King he did that to everyone. By the way, Stacey wound up on the bench. Bulls coach Ed Pinkney gave kudos to a few players that talked trash. 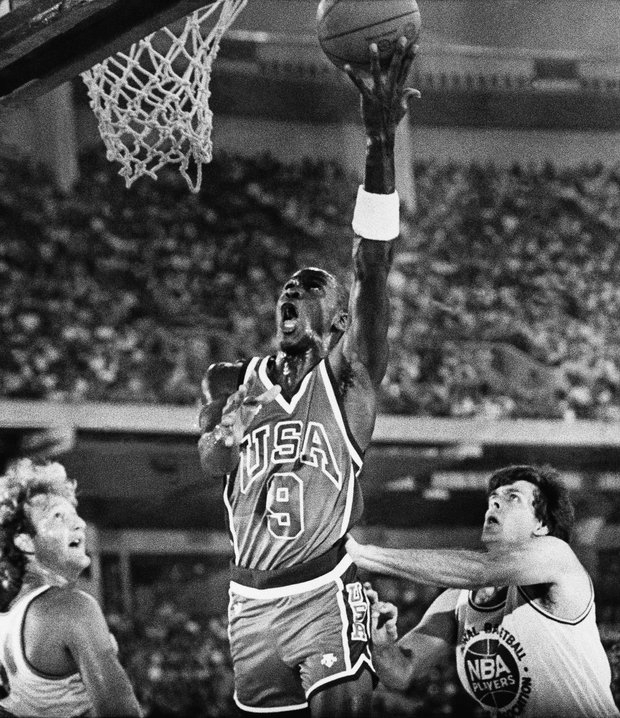 “Kevin McHale was good; Michael Jordan was right at the top," said Pinkney. "He would tell you and the coaches what he would do." A couple of Jordan’s teammates had difficulty trying to remember Michael’s actual wording, but most of it was profane. Bulls President John Paxson said his former backcourt mate used it to gain an advantage over his opponents. King said Jordan did some talking to then-Cleveland Coach Lenny Wilkins about the Cavs defender guarding him. Michael dissed the coach and the player when he said, "He’s your Jordan stopper?" Former Bulls center and team radio broadcaster Bill Wennington added Reggie Miller and Reggie Theus to the club. Gary Payton and Tim Hardaway talked from the beginning to the end of games, according to Bulls coach Adrian Griffin. The fan that was mentioned by everyone was Washington&apos;s Robin Ficker. He would sit behind the opponent’s bench with a constant stream of talking; he was relentless with his commentary. I remember one time he read Sam Smith’s book, Jordan Rules, out loud the whole game. Today&apos;s best talkers seem to be fewer and farther between, according to former and present players; Kobe Bryant and Kevin Garnett are the major talkers. Besides the congenial friendships, maybe it&apos;s the social media, which allows more freedom to do the trash talking. Stacey King thinks Twitter has become the main vehicle for fans to trash talk. . . they can be heard and not seen. The NBA also instituted the taunting rule, which penalizes a player for saying or doing anything that could be misconstrued. John Paxson said when the league expanded there was a reduction of games teams played against one another. Rivalries intensified with a six game series over a season, now three is the most two team will play. Nothing was better than the Bulls and Pistons or the Bulls and Knicks. That was when the talking and the playing were at its best — it was almost an art form. Follow Cheryl on Twitter @CRayeStout and Facebook at Cheryl Raye-Stout #AtTheGame.